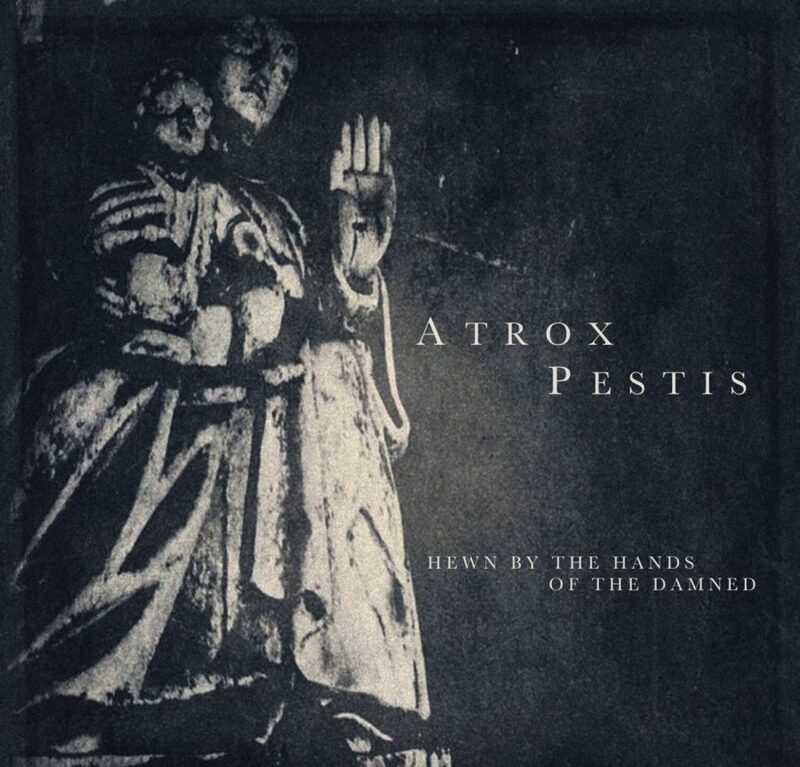 Atrox Pestis is a new project by Grant Richardson. Richardson has been a powerful player in the death industrial scene as his main project, Gnawed. Since 2009, Richardson has been scavenging the depths of the Minneapolis underworld. Searching the dank tunnels beneath this city, Richardson found the voice for his music. Metal clanging and grinding, washes of reverberated drone, vocals distorted beyond recognition, these are the offspring of Gnawed. Atrox Pestis gives Richardson’s immersion in post-industrial music a new outlet. For fans of Gnawed, you will find much of that same industrial/mechanical darkness. But the mood and execution have both been greatly subdued, in comparison to Gnawed. This is a proper dark ambient release. Devoid of any percussion or distorted vocals (though it does include some Gregorian style chants), Richardson focuses on a more introspective atmosphere. Where Gnawed shows the destruction of the world, Atrox Pestis shows the destruction of the mind, within this doomed biosphere. These passages illuminate the album’s struggle with the current standing of mankind. Questions of what is evil, what is good, who are the enemy, who are the saviours? Should we deserve to be erased from history? Should we fight to correct our trajectory? How would that look? What laws would we impose, in order to bring about vast societal/planetary changes? Hewn by the Hands of the Damned is Atrox Pestis first full-lenghth release. But, in 2016 and 2017 they released a self-titled C40 cassette on Maniacal Hatred (Richardson’s own label), and a split with Strigae on Phage Tapes. If you enjoy Hewn by the Hands of the Damned I would highly recommend going back to these older releases. Especially the split with Strigae, a project created by Leo Brochu, owner of Chryptus Records, another very promising new dark ambient artist, which I will be planning to cover more thoroughly in the near future. While Atrox Pestis debut is going under the radar, a young project released on a young label, there has been no shortage of praise for this release from veteran dark ambient musicians. This is always a sign of a promising new project, as so many of the veteran producers from this genre will likely have a much more critical ear than the average listener. Hewn by the Hands of the Damned is the perfect release for listeners of the older industrialized dark ambient acts such as Svartsinn, Yen Pox, and others in this vein that are able to incorporate some harsher, more metallic sounds, while simultaneously keeping the album sounding smooth and polished. While you may find little in the way of new ideas on this release, you will find a producer creating at the top of his game. Let’s hope more listeners come along for the ride, as this project is not one to be overlooked!